The International Art Materials Association, better known as NAMTA, asks CAA members to contribute to the Artists and Art Materials Survey, a major international study that should take about ten minutes to complete. 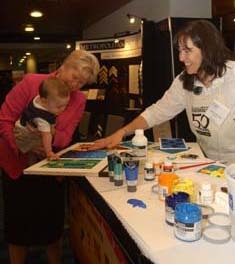 NAMTA is an association of hundreds of independent and family-owned art materials manufacturers and retailers. The survey deadline is November 25, 2014. This survey is anonymous—you will not receive marketing spam after taking it. Results will be published in the third edition of the NAMTA Artists and Art Materials Study, which will be freely available to nonprofit arts organizations, colleges and universities, art school, and NAMTA members in January 2015. By taking this survey you will help artist organizations, art schools, and businesses serve you better, as well as tell art-supply stores and suppliers what artists want. You may also receive free digital issues of The Artist’s Magazine and Professional Artist and get the chance to win one of five $100 art supply store gift cards. Please forward this webpage to your colleagues and students, as their contributions to the survey are essential. 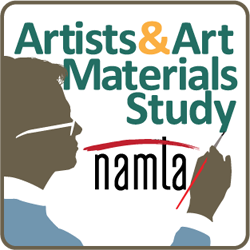 NAMTA will make the 2015 NAMTA Artists and Art Materials Study available free of charge to college art organizations and institutions. If you work for an educational institution or arts nonprofit, please sign up at https://www.surveymonkey.com/s/NAMTAresults. NAMTA will send you the survey results in early 2015. Over the last decade, artists and educators have become acutely aware of the environmental and health repercussions of their studio endeavors. How have the serious consequences for personal health and the environment, as well as the legal and ethical responsibilities of institutions of higher education, shaped individual studio practice and the teaching of visual art? This session will examine the wide-ranging responses of artists working today and offer practical solutions for artists to safely create work without sacrificing their vision. We invite proposals for twenty-minute presentations about individual experiences, personal or institutional, dealing with these pressing matters. This session will be part of ARTspace at the 2011 CAA Annual Conference in New York. Initiated in 2001, ARTspace has grown into one of the most vital and exciting aspects of the annual meeting, with programming is designed by artists for artists that is free and open to the public. Working in tandem with its affiliated programs, the Media Lounge and ARTexchange, ARTspace promotes dialogue about visual-arts practice, its relation to critical discourse, professional-development programming, and opportunities for the creative exchange of ideas. Interested parties should submit a one-hundred-word abstract and a fifty-word autobiography in a single Word document to session cochairs Brian Bishop and Mark Gottsegen. Deadline: October 1, 2010. A recent study on artists and their materials has been published by the International Art Materials Trade Association (known as NAMTA) and American Artist magazine, in conjunction with Hart Business Research. 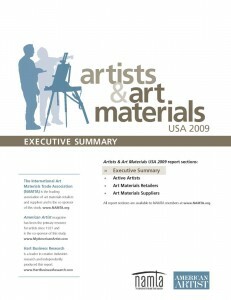 Based on a spring 2009 survey of artists, students, and the retailers and suppliers of art materials, “Artists & Art Materials USA 2009” is the first report published in over a decade that analyzes industry size and trends, business practices, and artist needs. The most groundbreaking finds published in this report include an increased use of mixed media and digital media, the importance of arts education for both children and practicing artists, and the continued use of magazines and books as a primary source of learning. The results of the survey show that artists are purchasing larger amounts of “nontraditional” art materials such as fabrics, glass, and beads, using more digital products, and incorporating scavenged materials. In 2008, the percentage of artists spending for nontraditional art supplies was almost equal to that for paints. 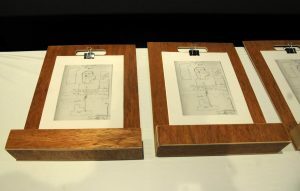 Unsurprisingly, the study found that artists are increasingly using computers either to create digital art or to assist them in producing nondigital art. However, many artists favor printed materials such as art magazines to their website counterparts as a source for education. Eighty-seven percent of survey participants said they read art-related magazines, making these publications the top source for learning, followed closely by books. Early exposure to art is crucial: well over half of the professional artists who participated in the survey responded that art was a major part of their lives by age 12. The report urges for the support of elementary school art teachers in order to expose children to art at a young age. The 4.4 million active artists in the United States—professionals, students, and hobbyists—are spending over $4 billion per year on art materials and services. While 28 percent of artists buy their supplies online, almost twice as much shopping (54 percent) occurs at brick-and-mortar businesses. Also, while stores are meeting artists’ need for drawing and painting supplies, an increasing number of practitioners are spending more for classes and workshops, an area underserved by retailers and suppliers. A free download of the eight-page executive summary is available from NAMTA. 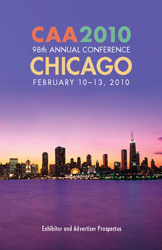 CAA’s next Annual Conference—the foremost international forum for professionals in the visual arts—takes place February 10–13, 2010, in Chicago, Illinois. The Windy City’s dramatic architectural skyline, world-renowned museums and galleries, and ultracosmopolitan Michigan Avenue provide the setting for an exciting gathering of more than four thousand artists, art historians, curators, critics, educators, and students. An exhibit booth in the Book and Trade Fair can reach this active and distinguished group. The fair, which annually hosts more than one hundred publishers, art-materials manufacturers, and providers of art-related programs and services, will be centrally located within the conference. With three days of exhibit time, the Book and Trade Fair offers high visibility and high floor traffic for exhibitors. In addition, an advertisement in conference publications—which include the Conference Program, Abstracts, Convocation Booklet, and Directory of Attendees—can also reach a wide audience for your publications, products, and programs. Full details are available in the Exhibitor and Advertiser Prospectus. For questions about exhibits, please email Paul Skiff, CAA assistant director for Annual Conference, or call him at 212-691-1051, ext. 213. Interested in advertising? Contact Sara Hines, CAA marketing and development assistant, by email or at 212-691-1051, ext. 216.